Holidays in Casole d’Elsa are all about culture and relaxation. This historic town in Tuscany is surrounded by fortress walls, and the rolling hills of the Sienna countryside. Around the town you’ll find sculptures and murals that date back to by-gone times – left behind by artists who have come to Casole d’Elsa for creative inspiration. Indeed, to this day it’s still a popular choice for creatives who want to work in tranquil surroundings. If you like exploring heritage sites as a couple or family, there are several fortifications around the town you can discover. It was once fought over between Volterra and Siena, so you’ll find two prominent semi-circular towers, which date back to the 15th century – and an 800 year-old castle, which is home to the town’s government. If you want to explore further afield, the towns of San Gimignano and Volterra, are only 30 minutes away by car. When you book your luxury holiday in Casole d’Elsa, you’ll be surrounded by beautiful countryside with picturesque views of the Apennines on a clear day. Spend your time taking in the views of the great outdoors, or visit a gallery if you want to immerse yourself in Casole d’Elsa’s cultural history. 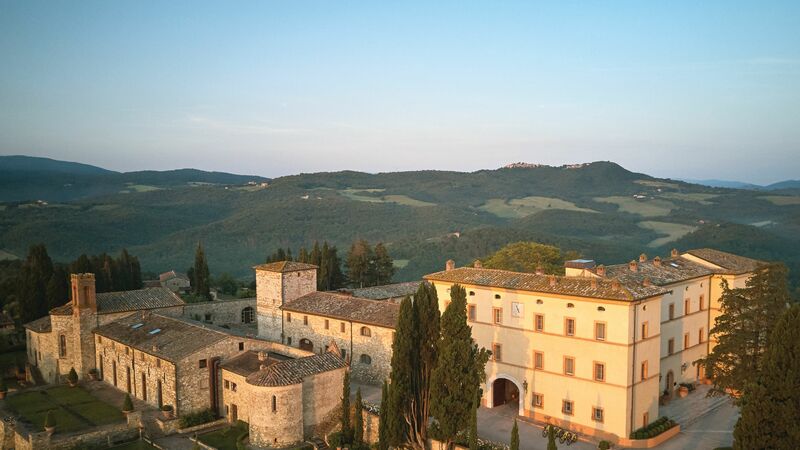 Sovereign recommends the Belmond Castello Di Casole – a 10th century castle, for your luxury holiday in Casole d’Elsa. It’s ideal for those who want a lavish escape in grand surroundings. During your stay you can expect fine dining experiences that include only the best food and wine. After a day of exploring you can unwind in the Essere Spa, or take a dip in the pool. There are also plenty of activates, such as truffle hunting and horseback riding.